Prepare to turn "JEALOUS MODE"...ON !!!! Shouldn't we be sooo lucky ???!! 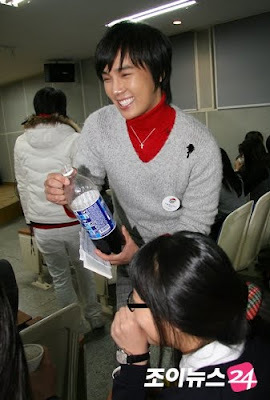 Oh...Jung Min looks great with glasses ! 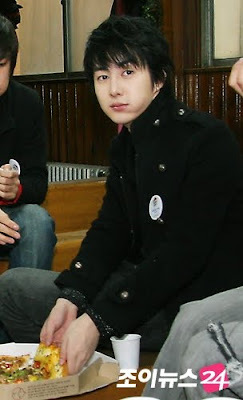 KYU !!!.... 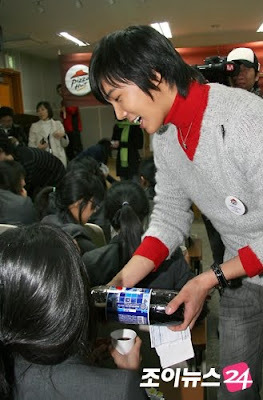 He looks better than all the food...sob...sob..
Hand - fed by handsome Baby.....OH ! 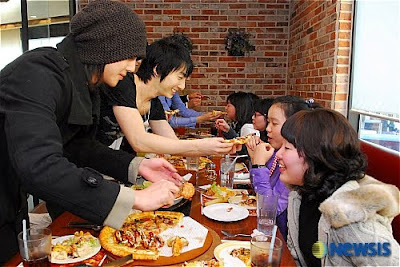 SS501 : " We've served Triple S, now we can eat ! " Photo credits as labeled, and Daum.net..and other places from google search..